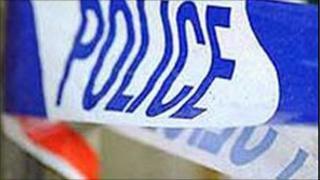 Two men have been beaten with baseball bats and other weapons during an attack by a masked gang at a house in Belfast. Shortly after 0500 GMT on Saturday, four masked men forced their way into a house at Forthriver Road. They ransacked the property and assaulted two men aged 22 and 19. Police said the two victims sustained cuts and bruising during the incident, but nothing was stolen. They have appealed for information.